for photos of the newest member of our family. 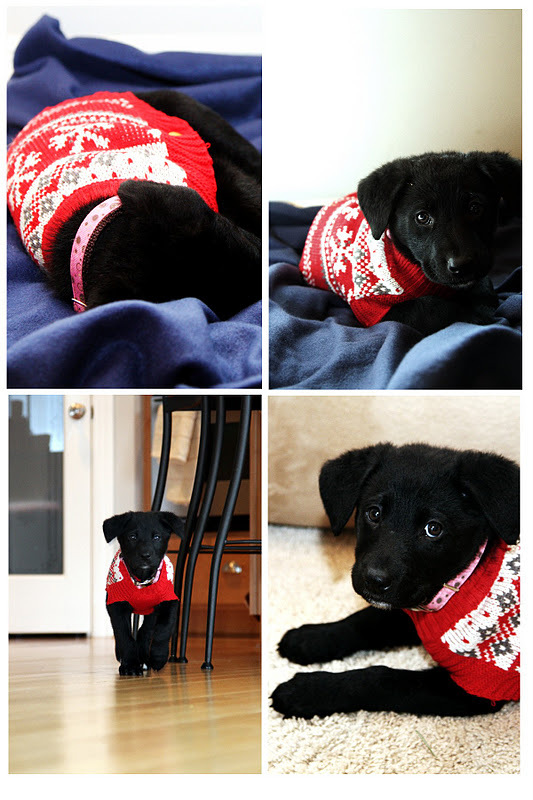 I think she looks adorable in her ugly sweater. 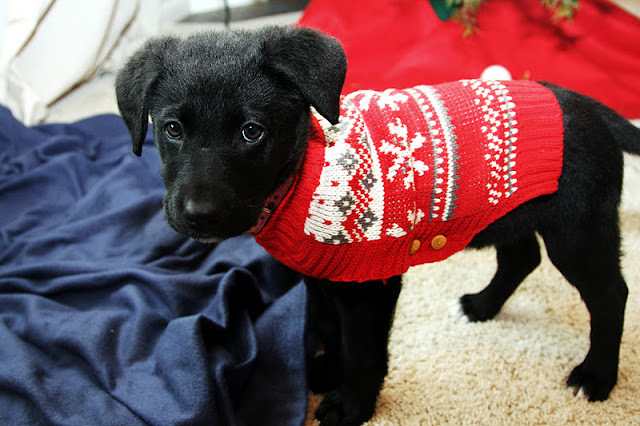 Isn't she the cutest puppy ever? Oh this is so adorable! She is the cutest little thing and the sweater just makes her that much cuter! New follower from the LF hop. I look forward to reading more of your great posts!